The second-generation Buick Enclave takes a bow. 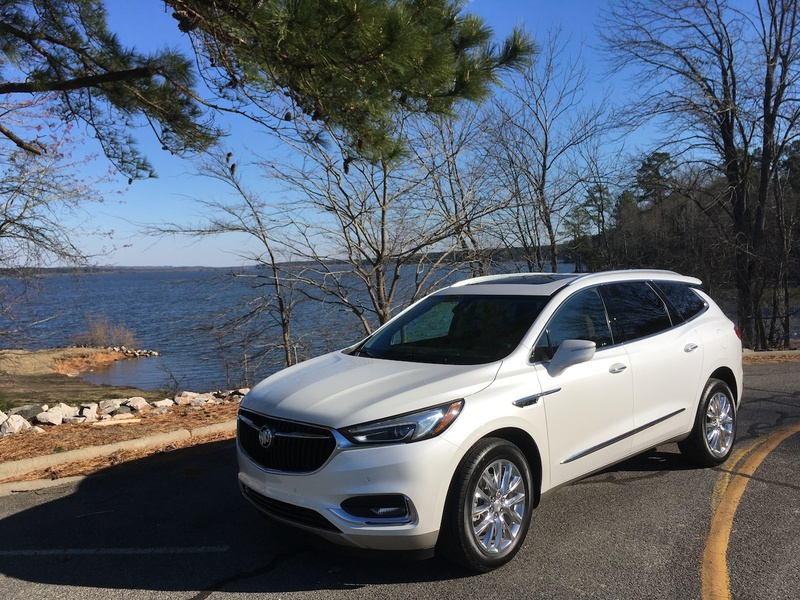 The all-new Buick Enclave starts this SUV’s second decade. It took 10 years, but the long wait for the second-generation Buick Enclave may have been worth it. Buick’s midsize, three-row SUV is all-new for 2018, delivering a look that is sleeker and more polished than the model it replaces. Its expressive design, roomy cabin and comfortable ride are its strongest features, although there is room for improvement in the availability of advanced safety features. The 2018 Enclave arrives to the market one year after the previously similar GMC Acadia had its own update. The Enclave’s release coincides with the latest Chevrolet Traverse model. The Acadia now slots in smaller, while the Buick and Chevrolet share the same footprint. Given that most GMC and Buick models are sold under one roof, the differentiation makes sense. 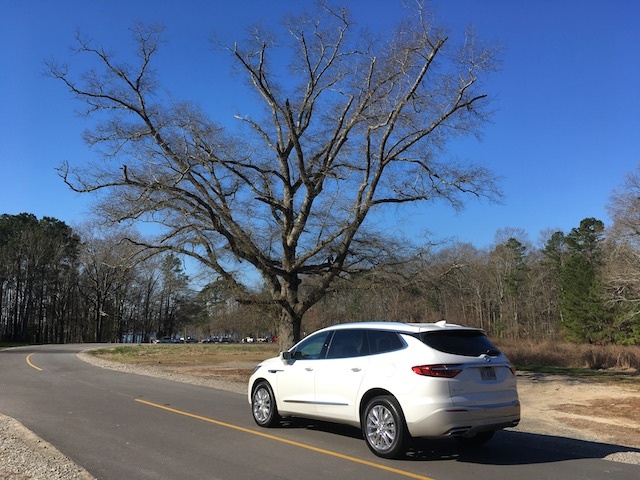 As before, the Buick Enclave competes in the midsize three-row crossover SUV segment. Its top competitors include the Nissan Pathfinder, Kia Sorento, Dodge Durango, Volkswagen Atlas, Mazda CX-9, Ford Explorer, Toyota Highlander, Honda Pilot and the Hyundai Santa Fe. Soon, we’ll add the Subaru Ascent to that list. 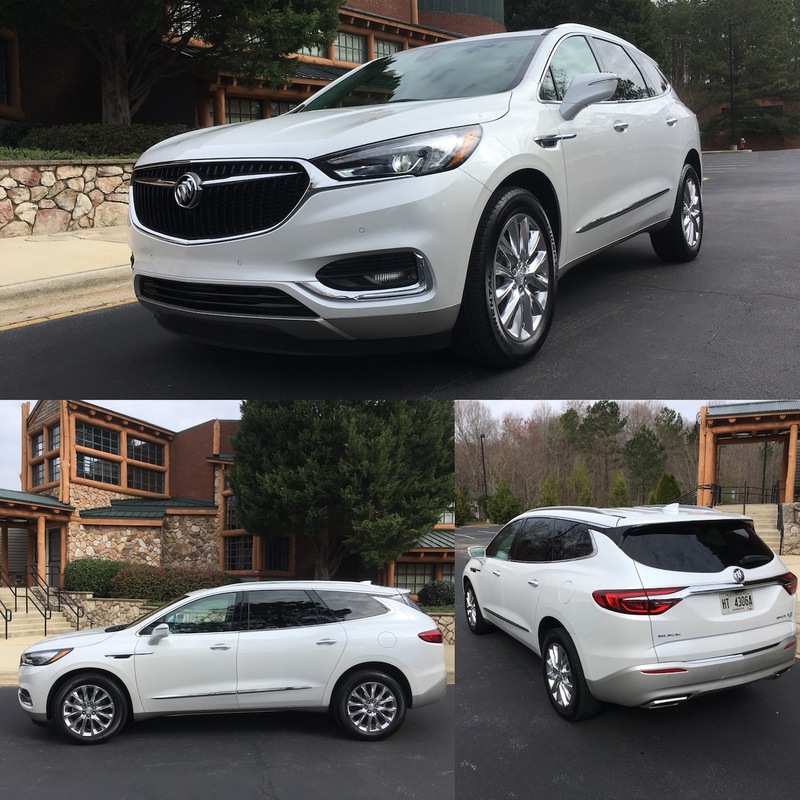 Buick offers the 2018 Enclave in Enclave ($39,995), Essence ($44,300), Premium ($48,100) and Avenir ($53,500) trims. Only the base model is front-wheel drive only. The other three trims offer all-wheel drive. An all-new transmission works alongside the updated engine. Packages are not offered with the base model. Choose the Enclave Essence and you’ll find two dealer-installed packages for mats and floor liners. A Trailering Package ($650) brings in a heavy-duty cooling system along with the ability to tow up to 5,000 pounds. 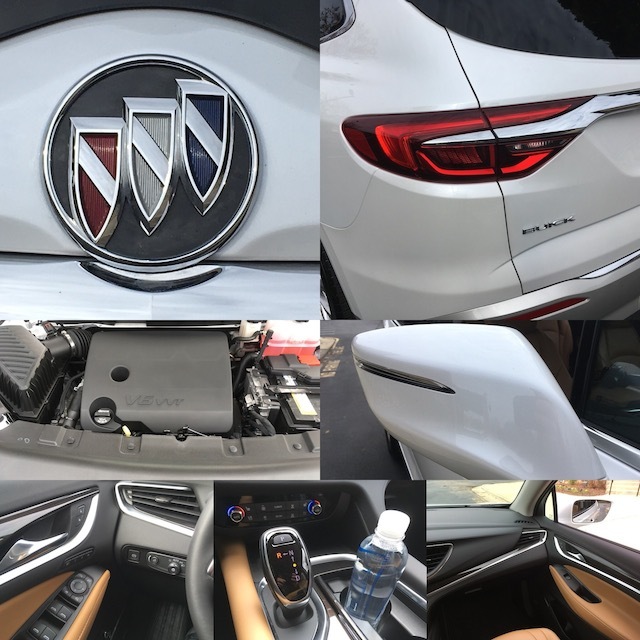 The main package for the Enclave Premier is a $3,250 Experience Buick Package with the Trailering Package, 20-inch polished aluminum wheels and a power dual moonroof with a fixed rear skylight. The Avenir’s Technology Package ($2,095) adds a premium suspension system with real-time damping and adaptive cruise control. The Buick Enclave has always been an attractive model even when it began to show its age a few years back. Sales for most models typically begin to trail off after a few years, even with an update. It wasn’t until the first-generation Enclave’s ninth year when the dip became noticeable. By then, new model planning was well underway. As for the model at hand, its sleek canvas has evolved. No design revolution here, although the front fascia is derived from the Avenir concept and has resulted in a top-trim model of the same name. The overall theme is upscale with long sweeping lines dominating the profile, a beltline that rises at the rear roof pillar, decorative trim and big wheel arches. Yes, the Buick ventiports are present. No, they’re not functional. Standard features include LED headlamps, power adjustable and heated side mirrors, side roof rails, 18-inch aluminum wheels, a rear spoiler and a power-operated and hands-free liftgate. Upgrades include a power dual moonroof with a fixed rear skylight, 20-inch aluminum wheels and a trailering package. The 2018 Enclave seats seven. Sure, Buick could have shoved a bench seat in the middle compartment, but you’ll be glad they didn’t. The second-row captains chairs are nearly as comfortable as the front bucket seats. Ease of access to the third row is another benefit as both middle seats slide and tilt forward. When in place, the rear seat is reasonably comfortable, although it is better suited for young teens. The Enclave’s dashboard is stylish, with sweeping lines and curves giving this SUV a sophisticated look. Ample use of soft-touch materials, limited use of plastics, and available leather and woodgrain touches add to its elegance. The layout is clean, uncluttered and pleasing to the eyes. The driver and front passenger enjoy the comfort these seats afford from the shoulders down to the thighs. Standard equipment includes keyless entry and push-button start, full power accessories and heated front seats. Move away from the base model and you’ll find a heated steering wheel, leather seats, ventilated front seats, heated second-row seats and a reconfigurable driver information center. Driver-assist features are available with the 2018 Enclave. What surprises us is that Buick restricted these features to the two top trims. Yes, you can get lane change alert with side blind zone and rear cross-traffic alert with the Essence, but not with the base model. 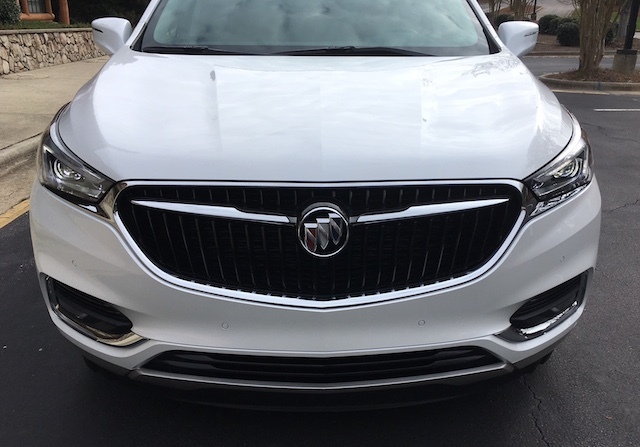 Buick offers an upgraded Driver Confidence Package with the Premium and Avenir, adding forward collision alert, forward automatic braking, low-speed automatic braking, automatic high beams and front pedestrian braking. To get such features as adaptive cruise control, forward automatic braking and an upgraded suspension system, that’s available with the Avenir and only as part of a Technology Package. Where the 2018 Enclave shines is with its general technologies, especially with its Buick Intellilink interface. The standard features include an 8-inch color display, Bluetooth, satellite radio, Apple CarPlay and Android Auto smartphone compatibility, USB ports for all three rows and an auxiliary jack. The Buick interface is easy to use with a clear display and icon-like management. You also get OnStar with a built-in WiFi hotspot. Available features include a 10-speaker Bose audio system with an amp and subwoofer, HD Radio and a 120-volt outlet. Navigation and wireless charging are options. All models come with a 3.6-liter V6 engine making 310 horsepower and 266 pound-feet of torque paired with a nine-speed automatic transmission. The transmission is new, adding three additional cogs this year over last. The result is a more efficient model, delivering 18 mpg in the city and 26 on the highway compared with 15/22 mpg last year. Towing ranges from a standard 1,500 pounds to 5,000 pounds with the tow package in place. This V6 is well suited for the Enclave and may very well be GM’s most popular engine. In the Enclave, it delivers excellent step-off acceleration and robust passing power. The transmission works seamlessly in the background, moving up and down the gear range without drama. I would feel fully confident driving the Enclave with a full passenger load and at maximum towing capacity. This V6 is a proven beast. If you want all-wheel drive, you have to look beyond the base model for that. The Essence model offers an open differential that works with anti-lock brakes to control wheelspin, while the two top trims have a rear differential that controls the wheel spin and how much power is sent to each wheel. Overall, the 2018 Enclave delivers a comfortable ride. It handles a lot like a car. In fact, you’d be forgiven if you felt it reminded you of a wagon. The electric power steering system is ideal for this model. You’ll sense a well-controlled ride on twisty roads and excellent poise on the straightaways. It is doubtful whether Buick could have developed a better steering/handling/braking arrangement or a more comfortable crossover SUV. The 2018 Avenir arrives perhaps a bit late, but it is a welcome addition to the Buick line nonetheless. With the Encore and Envision slotting beneath it, shoppers have three competitive models to consider. Add GMC to the mix and there are four additional SUVs in the mix. The base Enclave doesn’t have all-wheel drive and it offers few of the upgraded amenities customers want. My test Premium model with all-wheel drive is likely where most shoppers will look. As outfitted with every possible upgrade, the price came to about $57,500. Fully-optioned Avenir models top $60,000. 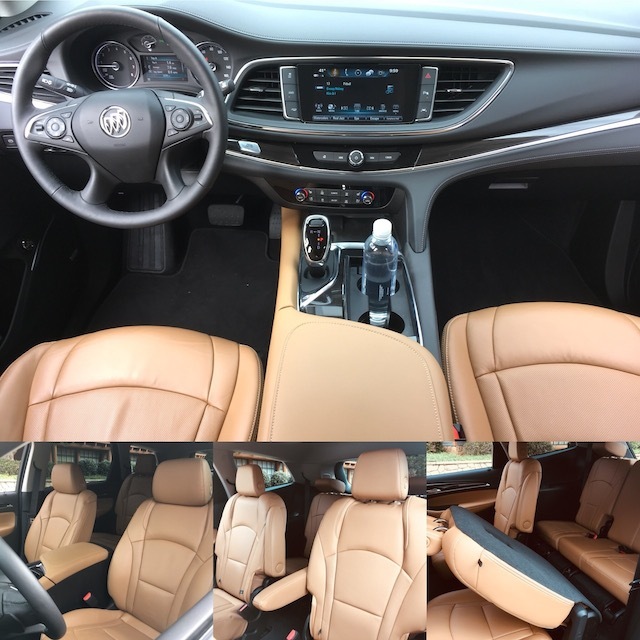 All in all, the 2018 Buick Enclave delivers a satisfying package. It’ll serve as the family vehicle of choice for consumers who want the premium features apart from the luxury marque. Buick Enclave photos copyright of Auto Trends Magazine. All rights reserved.